So I was demonstrating crochet in Hobbycraft Bridgemere today and had some great interesting conversations. What became ever apparent is that people new to crafting especially crochet didn't know where to start when it came to selecting yarn. Many said they had bought yarn and hooks to get started and worked up something for the first time, only to be disappointed or deterred as the finished product wasn't at all what they had imagined. I decided there and then that these people needed to be councilled by a former beginner and believer that you don't have to spend mega bucks to start a new craft. I gave the following advice and sent them on their way armed with armfuls of yarn goodness. Actually before I begin I just want to reiterate this is a post for beginners and the best yarn to use, I'm not including all yarn types just a select few I believe will get you started. Ok so you've decided today is the day I don a hook and get the heck on with it. 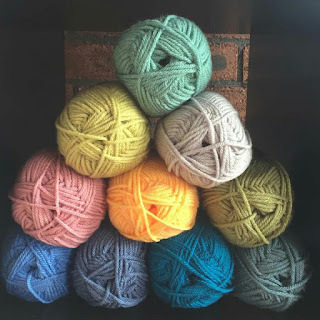 You go to your local yarn store and become so excited at the array of colours, fibres and ball weights on offer you go crazy, skipping down the aisles throwing balls of yarn into your basket..... whoa whoa whoa, back up crazy lady you haven't asked yourself 3 key questions. Why are you here - yes yes you want to learn to crochet, but is this going to be a lifelong hobby, or something you have a go at and give up when the going gets tough? I don't mean to be brutal trust me after working up my 11th 'granny square' only for it to be another circle! I tossed all of my yarn and hooks in a box and didn't get it back our for at least a month. But if this is what you think you'll do then you don't want to be spending bucket loads of your hard earned pennies on yarn. On the other hand you may be 100% sure you're in this for the long haul no matter what perils lie ahead, I'm not saying if this is the case you want to spend a lot, I'm just saying it is worth considering quality in this case. In my case I was both scenarios I skipped down the aisle twice and learned a lot in between each visit. What are you going to make first - are you just dabbling with techniques or wanting to work up a specific pattern? When I started crocheting I wanted to learn to make 2 things, granny squares and amigurumi toys. Both very different in composure and use. A granny square more traditionally makes up a cosy blanket, an amigurumi that to be played with (and even chewed!). The two things are so different each requiring different types of yarn. 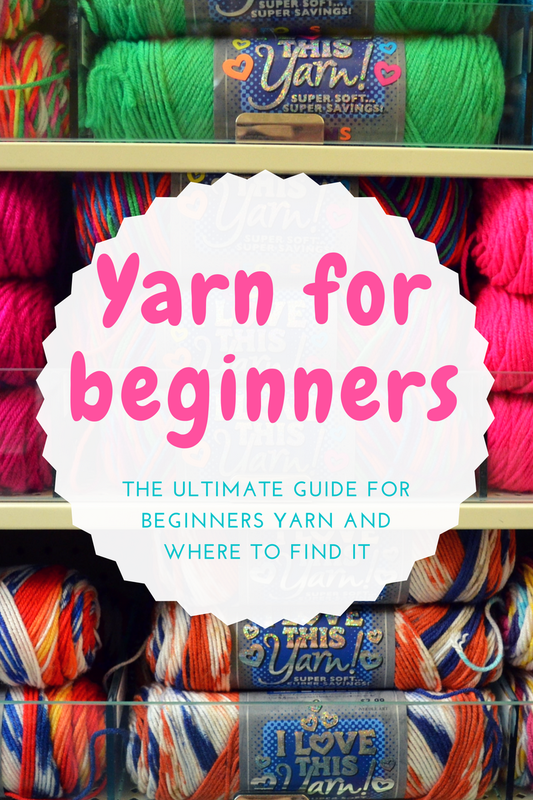 Also if you're working up a specific pattern it's important for a beginner to stick to the yarn specified to gain as close to the desired results as possible. This might sound trivial but after years of experience I know that crocheting with a chunky yarn has two main benefits for a beginner. One, the stitches are easier to see, two the piece will work up quicker hence more gratification win win. Okay so you've asked yourself all three questions. 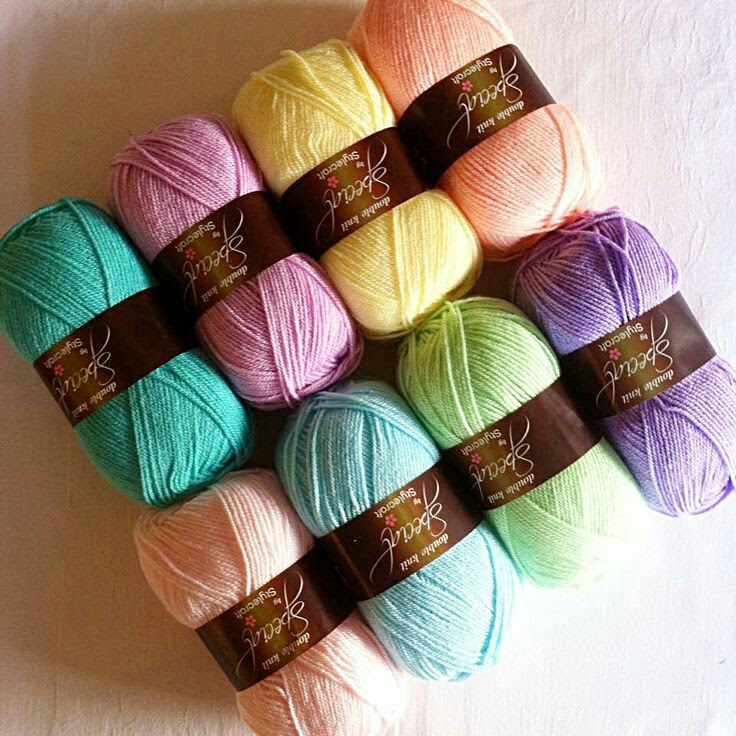 You know what you're making, and yes you're finally ready to run off into yarn joy? Great, I'll wait here while you get overloaded in yarn weight and hook size. If you're back fear not, all will be explained. Perhaps the most widely used yarn on the market. DK or double knit yarn can be used to work up just about everything, and is available in most fivers too. The most widely available fibre is acrylic. Now this has two great selling points, one its cheapest, and two it comes in an array of colours and shades from bog standard black, too sparkling rainbow, the possibilities are endless. DK does of course come in other fibres but as a beginner I strongly recommend acrylic yarns, they are cheaper and more widely available. 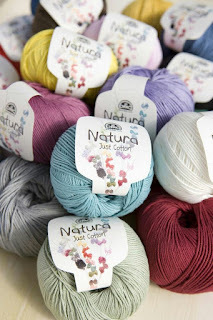 Now after years of crocheting with DK acrylic yarns I've of course found a brand I love. Stylecraft yarns not only make a wide variety of yarns, but also a great array of colours also, and at affordable prices ranging from £1.60 - £2.20 per 100g ball. My preferred supplier why www.woolwarehouse.com of course. They seem to offer the best prices and speedy shipping. Thicker than DK, this is perfect for winter Woolies or more durable accessories (bags, belts etc). I have also made amigurumi with Aran yarn (note here a thicker yarn / bigger hook means a bigger finished piece) and it works up really well albeit a tad stiffer than DK. Again available in many fibres. Again my fave Aran yarn is made by stylecraft and this again comes down to price (I'm not cheap I just live by a budget 😊) again available at Wool Warehouse. Lastly I couldn't do this post with recommending a cotton yarn. Cotton yarns are so widely used in amigurumi work and in the summer time that as a beginner I feel it would be unfair if I didn't lay it out for you. Now cotton yarn can come in a variety of weights. It can be DK or worsted weight, and even teeny weeny 2 ply. But for a beginner I recommend sticking to a DK or worsted weight cotton, and strongly recommended sticking to the hook size on the label. I've so often (slap my wrists for never learning!) made the mistake of changing the hook size for a cotton yarn and it going horribly wrong. As a beginner I recommend you stick with what it says on the tin as it were. DMC Natura 100% cotton. Works up a dream, is so smooth to crochet with, and I find it doesn't 'split' like other cottons. All of the strands stay as one and so no snagging when making stitches. So there you have it. I so hope this gives those of you out there looking for a starting point some inspiration. I will be compiling a few more beginner posts including things like yarn labels, what hooks to use, and tips and tricks to help you learn.